Preventative dentistry maintains your healthy and beautiful smile. 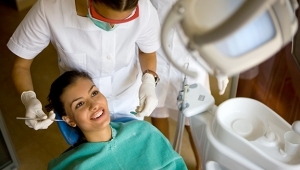 It includes regular dental cleanings and exams, as well as fluoride application, sealants and night-guards. During every initial visit with a new patient, I focus on teaching oral health skill such as proper brushing and flossing. These ‘home care’ skills, in combination with regular dental visits are imperative to preventing the start and progression of dental decay. Prevention is truly your best investment.